Fort Myers is a beautiful city with hidden history. 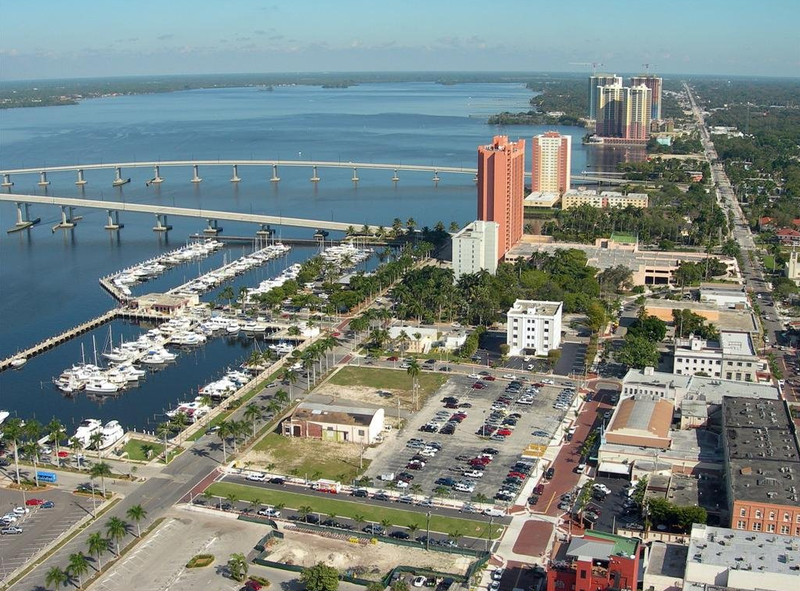 Besides its booming tourism industry and beautiful beaches Fort Myers is known for many more interesting things. The downtown historic district displays the many historic facts and stories that many who visit or hear about Fort Myers would not expect. Fort Myers was the only one of the 12 southern states that was a union and was formerly a military base as well. Thomas Edison spent many summers in Fort Myers along with Edison Ford known for Ford Cars and Harvey Firestone an industrialist. Fort Myers also stole their yacht slip from the much larger city in Florida, Sarasota. This was a huge economic accomplishment for the city. The city was looking to attract more wealth and boost its economy. The city government addresses environmental issues well. Bay Street is now a developed land but it used to be all water. The small economy of Fort Myers can make it challenging to preserve historic landmarks. For example, the one building we saw that has been debated about being taken down for the past ten years. My favorite part about the tour was when we went down the hall the used to an outdoor mall but was recently closed off due to city building regulations. The theater really fascinated me. One of my favorite things to do is see Broadway Shows, regular theater performances or anything artsy. I’m a huge city girl so seeing that area of downtown Fort Myers gave me a whole new appreciation for the city that I’m currently living in. I’ve been here for the past 3 years from Washington DC and I haven’t really enjoyed it that much. The beaches are nice, and the weather is lovely but something was always so boring to me. Now that I know Fort Myers has a deep and rich history my opinions have changed a bit. My new favorite place in Fort Myers is downtown and I really do plan on going to see a show and walking around the shops. I love places that feel like home, and I feel like I may have found my sense of place yesterday as we walked around downtown. I really want to go back and walk around some more. It was hard for me to walk the whole time because of a recent leg pain I’ve been having. The field trip mostly helped me find a sense of place around here which I’ve honestly had trouble finding. My homesickness has really hit me these past couple of months and being in a “city like” environment really helped me cope.